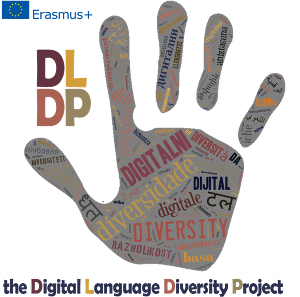 The mission of DLDP is to advance the sustainability of Europe’s regional and minority languages in the digital world by empowering their speakers with the knowledge and abilities to create and share content on digital devices using their minority languages. 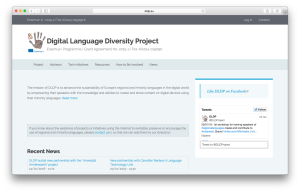 a roadmap, aimed at stakeholders and policy makers, detailing the institutional and technological challenges as well as the proposed solutions for paving the way to a more widespread use of all European languages over digital devices. For more information please visit http://www.dldp.eu. The project has received funding from the European Union’s Erasmus+ programme under grant agreement no. 2015-1-IT02-KA204-015090.